When Marian and I arrived in Riverhead, NY after a full morning of shopping, we headed for the Turkuaz Grill with big appetites. Oops, it was Tuesday, the only day of the week that little Turkish gem is closed. What now? We took a quick turn around Main St. and decided to try the Riverhead Diner and Grill. The Riverhead Diner and Grill is a family operation that has been serving breakfast, lunch, and dinner since 1932. 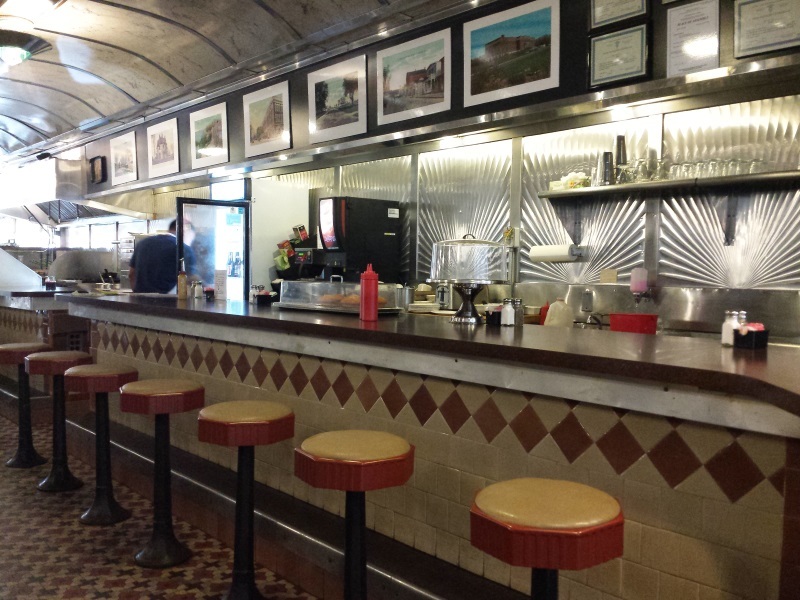 Here is the traditional counter, which like the rest of the diner, was pristine and spotless. 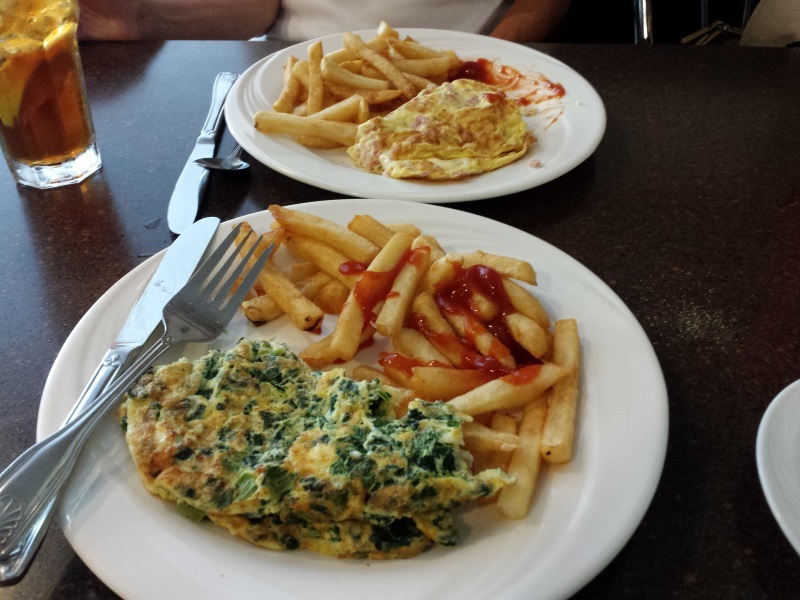 We decided on omelettes, the standard by which we judge diners. The results were fabulous. One Spinach and Feta and one Ham and Swiss arrived, and quickly disappeared. Here is a shot of the goods, before we demolished them. Yup, the coffee is hot and fresh, and Marian’s iced tea was brewed, not something poured from a bottle. Where is the Riverhead Diner and Grill? You guessed it. The diner is in Riverhead, NY on East Main St. Here is the address and hours. I’m interested in finding out more about the mighty Peconic River. Perhaps lunch by the riverside. Until then, enjoy your trip around town.